As the nation is gripped in cricket frenzy, Mobilink is sharing the excitement by rewarding cricket enthusiasts with a FREE trip to the World Cup venue – Colombo. Mobilink has provided this fantastic opportunity to 30 customers, to go and watch thrilling performances out there in Colombo. Names of 25 lucky winners have been announced under the “Jazz SMS Cricket Quiz”, whereas the other 5 customers were rewarded through the “Indigo World Cup Promotion” Competition. 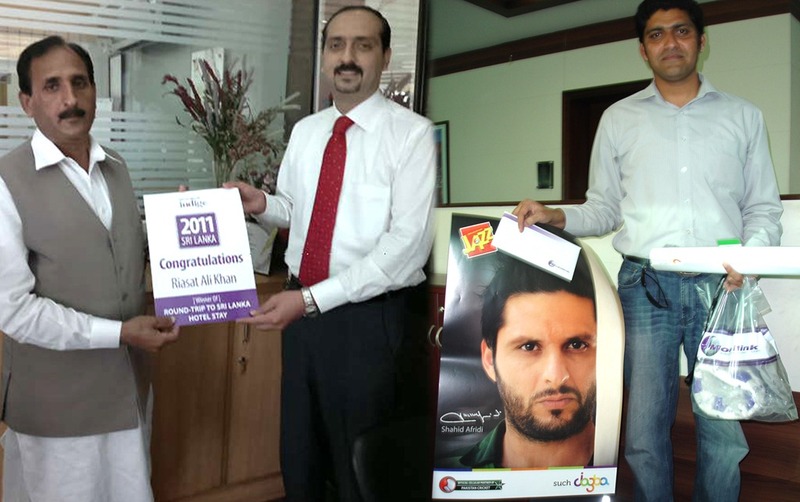 These lucky winners participated from various cities and towns of Pakistan, including; Karachi, Lahore, Islamabad, Sahiwal, Sehwan, Swabi, Okara, Nowshera, Multan, Gujranwala, Peshawar, Charsadda and Jhelum. The winners were overjoyed at the opportunity, describing it as a life altering experience. One winner shared that this would be the first time he is traveling abroad. Mobilink has also created several other opportunities for cricket enthusiasts to win fascinating prizes as the tournament moves into its decisive phase. During this tournament, Mobilink “Jazba” package is offering numerous valuable prizes, ranging from discounted tariffs, latest smart-Phones, memorabilia, etc. This post is on 30th March and there is only one match remaining and that is in Mumbai. Why are they sending cricket fans to Columbo, will there be some big screen there showing match. well said yasir, i guess they are too busy spreading negative propaganda about their rivals and not concentrating enough on their campaigns.